This post is late for promotional purposes, but now that I have some time on my hands, I can’t pass up posting it. In anticipation of last week’s massive Nadus, Jam City and Venus X bill at Berlin club night Janus, resident DJ Lotic put together the “Damsel In Distress” mix, a selection that both breaks down and builds up modern club music. An eclectic track list features oddly familiar song titles like “Hummingbird feat. MikeQ, Bobby Johnson, and Miss Modular” and “KIDDIKUGKIDDIKIGKIDDIKIDDI”, but there are only a few bits of recognition in this mix, mostly in the form of ballroom crashes and occasional snippets of recognizable vocal work (with the exception of an extended Beyonce rendition). The mix is full of pauses, brief and not so brief silences and bleating effects. 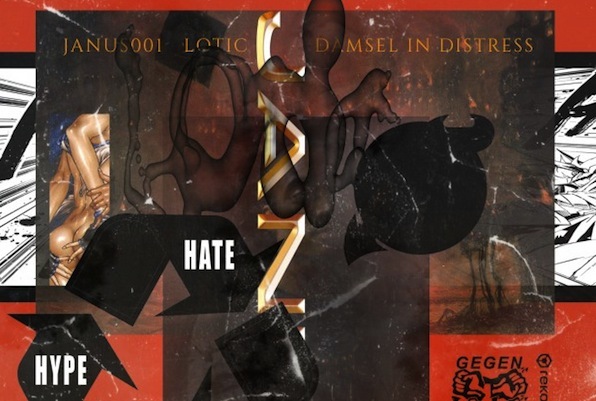 There’s no discernible “flow” here per se, but that works in Lotic’s favor as he misles the listener into a supine state where the macro effect of the piece is more important than its constituent parts. Stream “Damsel In Distress” below and download it here.